This vivid picture of an active star forming region NGC 2467, otherwise known as the Skull and Crossbones nebula is as sinister as it is beautiful. This image of dust, gas and bright young stars, gravitationally bound into the form of a grinning skull, was captured with the FORS instrument on ESOs Very Large Telescope (VLT). 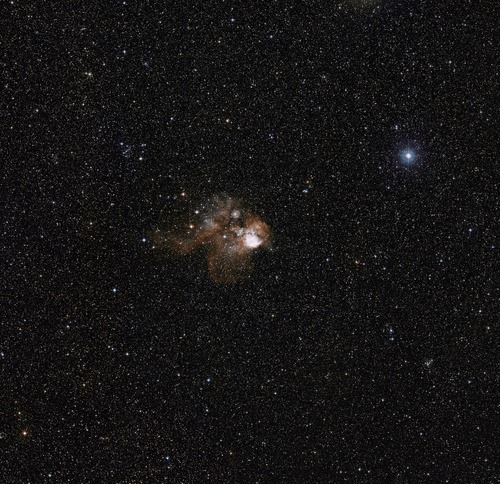 Whilst ESOs telescopes are usually used for the collection of science data, their immense resolving power makes them ideal for capturing images such as this which are beautiful for their own sake. 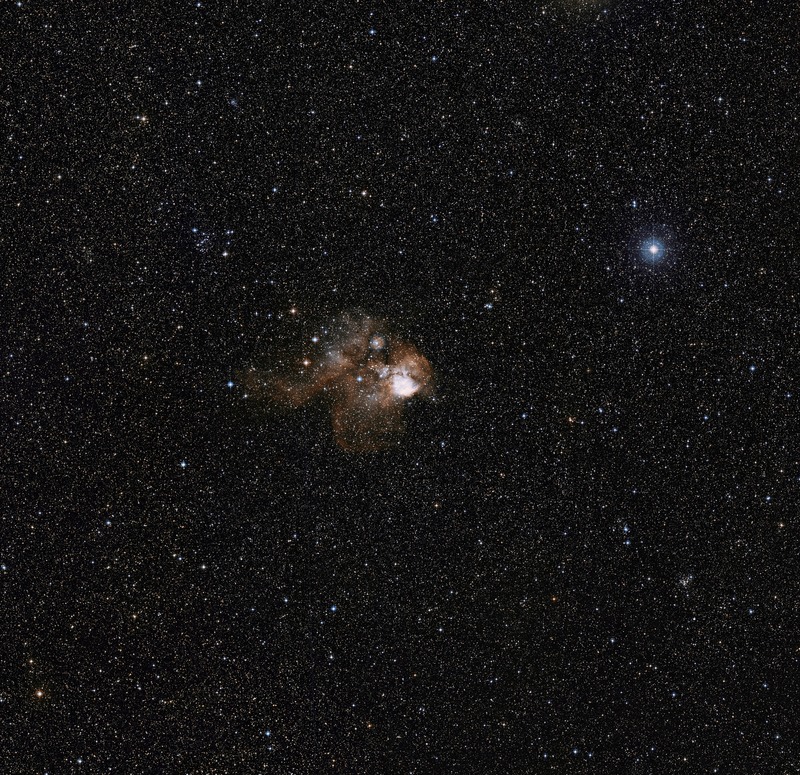 The image is a colour composite made from exposures from the Digitized Sky Survey 2 (DSS2), and shows the region surrounding NGC 2467. The field of view is approximately 2.4 x 2.0 degrees.